When hiring a tutor, you’ll find that you have a wide range of options, so it should come as no surprise that pricing will vary greatly depending on your child’s specific academic needs. So, just how much is a tutor going to cost? Private tutoring rates are calculated based on professional experience and qualifications, where you live and the complexity of the subject matter. Some of the most commonly requested tutoring subjects are SAT prep, math, English, chemistry, biology and physics. A tutoring agency or center, on the other hand, generally charges a set fee for its services, plus a registration fee. There are also several options for reduced-cost or free tutoring services. Here’s what you need to know when it comes to the cost of hiring a tutor. What rates should a private tutor charge? A private tutor is an individual who has experience in a specific subject and offers their services to students who need academic help. These can be teachers and professors, graduate students, industry professionals and other individuals with robust experience in a certain subject area. Individuals generally charge according to their level of education and experience. Expect to pay $30 to $40 per hour for a high school student, and up to $85 per hour for a certified teacher with top-notch experience. A teacher trained and qualified to work with children with special needs will likely charge more. Typically, there are no contracts, sign-up or registration fees associated with private tutors. Rates will vary quite a bit depending on your location, subject, and frequency of the sessions. Tutors tend to charge more in large cities, where the cost of living is higher. For example, if you live outside of Chicago, check what other Chicago tutors are charging so you can compare rates. In the same way, if you live in Texas, check what Austin tutors, Dallas tutors and San Antonio tutors are charging so you can determine the appropriate pay rate in your area. Materials costs: Find out if you are expected to purchase any special supplies, like language tapes or workbooks that could add to the price of lessons. Cancelled or missed lessons: Because this is done through a private individual, ask about their expectations when it comes to a cancelled or missed lesson. Will you still be expected to pay even if your child did not attend the session? If you’re running late, your tutor may count that as part of the lesson, resulting in money lost. Clarify these details before you begin. Frequency of payments: If your child needs multiple lessons, ask if you are expected to pay per lesson or inquire about the possibility of a reduced price if you purchase a month’s (or other hefty amount) worth of lessons. How much does a tutoring center cost? A tutoring center, also referred to as a corporate tutor, will typically cost more than a private or online tutor. On average, you can expect to pay between $45 - $80 per hour, depending on where you live, the subject area and the instructor’s level of expertise. A tutoring or learning center typically offers a list of classes and corresponding rates. For instance, at Sylvan Learning Center, basic academic tutoring for K-12 students starts at $45 per hour. This price increases depending on frequency and subject. A one-time registration fee is usually involved at tutoring centers, as well as assessment fees and the cost of materials. Tutoring centers will usually require payment in advance of the first session. Before you make a decision, set up an appointment to visit the center, take a tour and speak with a representative about different financing options and payment plans. This is an opportune time to inquire about about additional fees that aren’t included in the tutoring cost. Also, you may want to check and see if there are any money-back guarantee policies or if your student can take a trial session at a reduced cost to see if it’s a match. Binding agreements: Find out if you are expected to sign a long-term contract with the center. Cancellation policy: Ask about the refund policy in case your child wants to drop a class. Group setting: At a tutoring center, there will be one instructor for every two or three students, so your child won’t get the same one-on-one experience they would with a private tutor. How much does a tutoring agency charge? If you’re having trouble finding a tutor, a tutoring agency can help match you with the instructor to help your student. Most agencies charge a registration fee, plus a fee for individual tutors. Agencies also charge tutors a commission fee of 25 percent, which is built into the overall hourly cost -- so remember that your tutor is not making the rate you are paying. Start by checking out locally owned tutoring agencies that may charge lower fees than a nationwide company. Additional fees: What other costs are associated with using a tutoring agency? This could be for extra testing, contracting out tutors for multiple subjects, and more. Contracts: When you use a tutoring agency to find a tutor, check to see if you are expected to sign a long-term contract with the company. If so, make sure to inquire about any hidden costs or what the price is if you decide it’s no longer a good fit. Agency policies: Make sure you understand the agency's policies about sessions you cancel. Do you have to pay even when your child is sick, or can you reschedule a session for no additional fee? Also, ask whether the agency will assign a new tutor if the first one isn’t the correct fit. How much does an online tutor cost? On average, an online tutoring subscription package costs between $40 to $120 per month but can cost even more depending on the number of hours requested. Online tutoring sites like Chegg.com, offer a free seven-day trial period with packages starting at $15 for 30 minutes a week. From there, monthly plans cost as much as $48 a week, or you can pay-as-you-go at a rate of $.75 a minute. Bundled packages will differ between companies, but (like Chegg.com) most sites offer a free or reduced-cost trial period so that you can test their services before buying in. For example, the online tutoring site Growing Stars charges $80 a month (or $20 per hour) for four hours of basic writing and grammar tutoring. If you buy eight hours of the same course, the hourly price decreases by $4 for a total of $16 per hour, or $128 a month for eight hours. On average, an individual online tutor starts at $20 per hour, but, like private tutors, you should be prepared to pay more for highly-qualified and educated instructors. Shop around before committing to an one online tutoring company. Long-distance learning: Similar to taking an online course, this is a distance-learning setup, and your child should be comfortable studying from afar to make it worth your money. This option is best for high school and college students. Bulk discounts: Check to see how much money you will save if you purchase a weekly or monthly package instead of paying by the hour. Trial period: Take advantage of any free trial periods or other incentives that allow you to try the tutoring service before you buy it. This will help you make the best use of your money. Tutors must be approved by the state in which you reside. To learn more, contact your school directly, as the rules and regulations will differ from state to state. Additionally, some schools provide free on-site tutoring or homework help centers for their students. These are typically staffed by older students who are in advanced courses. 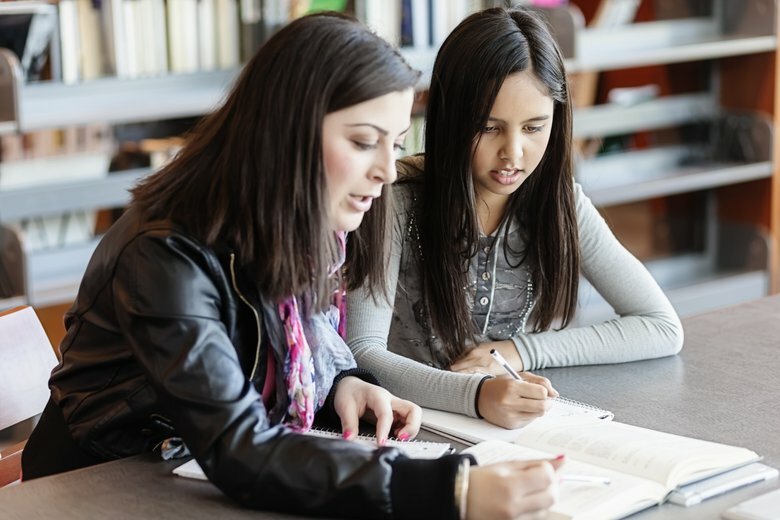 After-school programs, community centers, as well as academic resource centers at local colleges also sometimes provide free academic help for community members to take advantage of. Some centers, schools, and agencies offer scholarships. Ask about how your child might qualify. If your student is struggling in one particular subject area, ask the teacher if they would be willing to help your child out after school for a short period of time. Are there hidden costs when hiring a tutor? Now that you have a better understanding of what a tutor might cost, it’s time to consider what you can afford. These factors will look different for every family, but they are important considerations to keep in mind when determining your tutor budget. Travel-related expenses: Factor in gas, tolls, train or bus fare and other commute costs that may drive up the cost of a tutor. Time is money: If you find yourself leaving work early to take your child to tutoring or you are missing important meetings, take a second look. Find a consistent time that works for your child and the tutor, but also you. Extra materials: As mentioned above, workbooks, assessments, tests, and other materials associated with tutoring may cost extra on top of what you’re already paying. Before committing, ask the tutor or company what extras, if any, might be involved in the process. It’s always better to be prepared instead of finding out later on! Read next: Is a tutoring center or private tutor best for your child? Someone said, "My wife is a Registered Nurse and deals with life and death and makes $30 an hour. Some of you have your points but I don't believe someone should get paid over $30 an hour. " The problems with that is that nurse is guaranteed hours with benefits. Tutors are contractors. You may pay $300 - $400 per day for labor in addition to material costs for a painter. He does not deal with life and death, but you would not hesitate to pay him to do a good job. Tutors generally work 1 hour at a time. If you drive 20 minutes to and 20 minutes from the job, you have just worked 1 hour and 40 minutes not 1 hour. So when you consider $50 per hour, you need to realize it is really $30 per hour given your drive time. What price does a parent put on the chance that their child will have empowerment & choice to be whatever they want to be? I take it seriously that I may be the difference between a child earning 6 or 7 figures or minimum wage as an adult. I am the difference for them to get into any college, university, or program of their choice. I more than appreciate that family who I know is making a budget decision in order to have my services. And if a private tutor is worth their fee, your child will only need to see them 1x a week, 2x if struggling. That's why it's important to interview who you are considering as a tutor. What is disheartening is that I take the time to answer the ads I feel I could be of service to, and hardly ever do I get a reply. In the 3-4 years I've been on Care.com, I've had 2 families move forward with a conversation, who did hire me. Realize that I have many pictures to show examples of what I do with my students, but am not able to post them according to the guidelines of the site. I am required to check in constantly to update and interact with my calendar in order to stay relevant. It presents itself as a site that is offering a connection for professionals to be connected with those looking for professional services. I, for one, must say that it is drastically failing in that aspect. I believe it depends on your experience and location/markets. I live in Florida and a teacher (grade school) does not make $20-$25 an hour in Florida. As a matter affect there are not many markets that make that much money. My wife is a Registered Nurse and deals with life and death and makes $30 an hour. Some of you have your points but I don't believe someone should get paid over $30 an hour. I understand gas especially if you go out for only 2-3 hours at a time and that can be negotiated. If people pay over $25 an hour in Florida then more power to them. Me I would not do it. I would be more apt to paying bonuses for progression of student and so forth.